Uganda’s Constitutional Court has issued an important ruling that will significantly affect the future of the crisis caused by the Lord’s Resistance Army, or LRA. 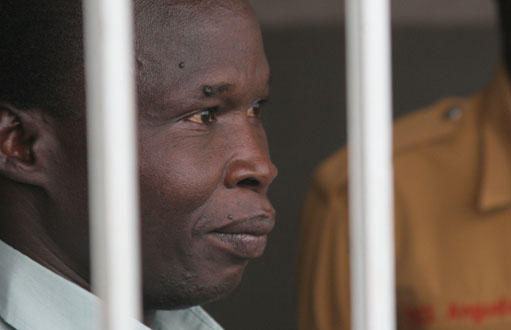 The court upheld the Ugandan Amnesty Act as constitutional and ruled that it should be applied to the trial of former LRA commander Thomas Kwoyelo, the first former LRA member to be prosecuted. The court ruled last Thursday that the refusal to grant amnesty to Kwoyelo was indeed a violation of the equal treatment provision of the constitution. It ordered that the Kwoyelo trial be returned to the Ugandan High Court’s International Crimes Division and dismissed. In August, the attorney general and Directorate of Public Prosecutions, or DPP, had contested the constitutionality of the Amnesty Act during Kwoyelo’s trial, asserting that it was unconstitutional on several grounds. But the Constitutional Court found that “[t]he DPP did not give any objection and reasonable explanation why he did not sanction the application of Kwoyelo like others.” According to the Ugandan newspaper The New Vision, 274 people were pardoned with the apparent sanction of the DPP in 2010, the year that Kwoyelo applied for amnesty. Since the Amnesty Act’s adoption in 2000, close to 13,000 LRA members have received amnesty. The law has been an important tool for encouraging LRA rebels—many of whom were abducted and coerced to fight—to leave the group. Kwoyelo, who claims he was abducted at the age of 13, had reportedly renounced the rebellion and applied for pardon under the Amnesty Act. However, he had not been granted amnesty, unlike thousands of other former LRA, including commanders of higher rank than Kwoyelo. His lawyers argued that it was unconstitutional—specifically, a violation of the equal treatment provision in the constitution—for Kwoyelo to be denied amnesty. Following the decision, Kwoyelo was returned to Luzira Maximum Security Prison. To formalize his release, Kwoyelo must be transferred to the International Crimes Division of the High Court in Gulu, northern Uganda. His lawyers anticipate that the court’s decision will be appealed. If the decision stands, the Amnesty Act will remain as constitutional, which will allow current LRA members to leave the group without fear of criminal prosecution—an important enticement to encourage defections of lower ranking combatants. In northern Uganda, the reaction to the ruling was mixed, with some welcoming it and others voicing concern that the Amnesty Act “shields” war criminals.